Please carefully read the following terms and conditions, as they contain legal obligations and form the basis on which bookings and other claims are accepted by Mountain Tiger Nepal. Unless otherwise stated, all purchases made through Mountain Tiger Nepal, relevant to any booking arrangement, are subject to these terms & conditions; it is considered that the person making the booking has accepted these conditions on behalf of the persons named in the booking. No variation to these terms & conditions, by any of our employees or agents, shall be of any effect unless sanctioned in writing by the relevant authority of Mountain Tiger Nepal. Mountain Tiger Nepal has focused on online booking and e-mail booking, at the site www.mountaintigernepal.com You can make a preliminary booking on this web site. A preliminary booking is not a final booking and does not require any pre-payment or financial commitment. Having received your acceptance through the net, e-mail, and having received a deposit of 20% of the total tour cost, we shall e-mail to you a final confirmation of your booking along with its invoice. pay prior to arrival by wire transfer to our Account. 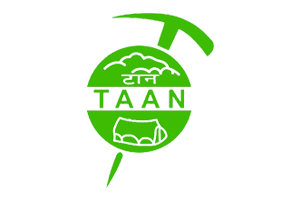 Account Name : Mountain Tiger Nepal Pvt.Ltd. Bank Name : Himalayan Bank Limited. Note: You are requested to pay extra bank charge (if any) at your end on your own. It means full tour cost must be reached to us without any bank deduction. we reserve the right to impose surcharges up to two months of your tour operation due to unfavorable changes in currency exchange rates, increases in air-fares or other transport costs, or increase in entrance/permit/visa fees or if government action should require us to do so. If you cancel the booking two months in advance of the tour departure, the total advance deposit shall be refunded, excluding the bank service charges. If you cancel the booking 15 days in advance of the tour departure, we shall refund only 50% of the advance deposit, only 10% of the total tour cost. If you cancel your booking in less than 15 days before the tour departure, we shall not refund the advanced deposit, hence 20% of the total tour cost shall be deducted from the refund if total tour cost has already been covered. We will not cancel your tour unless we are forced to do so by unusual or unforeseen circumstances, such as war, civil or political unrest or what is usually beyond our control. if we cancel your tour we will refund all payments made to us in respect of the tour cost, but we shall not be liable to refund you for incidental expenses that you may have incurred as a result of your booking like visa fee or expenses like bank charge at our end while receiving your payment or bank service charge while transferring amount to third party. Multiple person (2 or more) pricing applies to anyone who books and pays for a trek for two or more persons, which will include the provision of multiple person accommodation in all locations. Prices are based on known costs at the present year. The prices quoted by Mountain Tiger are based on airfares, exchange rates and costs in effect on the date shown. We reserve the right to alter our prices, with at a two-month prior notice to the client, if these rates change substantially, and may also apply surcharges in the event of significant changes in airfare, government regulations and taxes. Prices, where mentioned on our site are for standard trips. Budget versions as well as luxury version of the trip are also available. .
Bad weather in mountainous regions can cause flight delays. If your return to Kathmandu is delayed by bad weather prior to departure from the trek destination, Our Company Will Assist you to arrange all your accommodation and food at your own cost. And unfortunately we can’t accept responsibility for charges incurred as a result of missed international flight connections. We will, nevertheless, help you organize your ongoing flight arrangement. 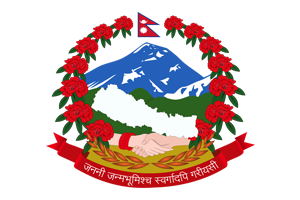 Our Company Will Not Accept Liability for changes and alternations in the itinerary suggested by the client or due to unavoidable circumstances such as land-slides, road blockage, flood, snow, general strikes and political unrest, cancellation of flight, flight delay (which mainly applies to Jumla (Simikot), Juphal, Jomsom, Lukla, Tumlingtar and Taplejung in Nepal), quarantine restrictions, sickness or accidents. Any extra cost incurred thereof shall be borne by the clients on the spot. All clients are advised to take out their own insurance to adequately cover against medical and personal accident risk. It is the traveler/trekker’s responsibility to have six-month valid passports and all visas and personal equipment that may be required on the selected tour. We do not accept responsibility for failure to obtain these visas for any reason. Your booking is accepted on the understanding that you realize the hazards involved in this kind of tour, as most of our tour/trekking/expeditions involves going to rural areas where there are limited facilities. Our Company, or any of its employees or agents, Will Not Be Liable for delay, loss or damage to personal property, personal injury, illness or death which might occur. It is a condition while booking treks and tours with Mountain Tiger Nepal that travelers/trekkers must have insurance that covers cancellation, accidents, health and medical, emergency evacuation (helicopter), theft of or damage to baggage and personal effects. Our company can help you obtain insurance, which covers the aforementioned categories, for which you could e-mail us at info@mountaintigernepal.com. All costs for emergency evacuation must be paid in cash in Nepal unless an insurance company has agreed to pay the costs on your behalf. It is important, however, that any insurance policy issued to cover emergency evacuation for trek/tour does not exclude alpinism or mountaineering. We strongly recommend that you visit a medical doctor before your trip. Your doctor will advise current inoculation requirements. If a doctor has recommended against travel or indicated that travel may be inconvenient, then please do inform us on the details. We also recommend that you maintain general fitness and physique in a preparation for the strenuous requirements of your prospective tour. All our guides are trained regarding first-aid, hygiene, and proper sanitation. We carry extensive medical kits and, if the need should ever arise, we are able to evacuate seriously ill group members by helicopter. If you have any complaint about any of the services during the tour you should immediately inform the local tour operators, or the tour leader/guide, who is required to solve your problem. Provided your complaint is not solved then please do write to us at info@mountaintigernepal.com, or immediately contact us at our Central Office in Kathmandu, Phone # 977-1-4414000, 4422681. We shall respond to your complaint and have you it solved as soon as possible. No refund will be made if passenger/s has/have shortened or cancelled the tour in Between due to Personal Reasons.